It is no secret that I love the things that springtime brings... From cheery blooms to blades of fresh grass, plants on the balcony, flowering branches in a vase -- all of these things inspire me endlessly. I passed by blossoming magnolia in a flower shop yesterday and my heart did flip flops as I was reminded of my childhood in South Carolina and how much I anticipated the bloom of the magnolias each Spring during my birthday (I was born on March 21 - tomorrow!). I enjoy bringing nature into the home and since today is the first day of Spring for this year at least, it's a nice time to talk about flowers isn't it? In some parts of the world, a freshly picked daffodil from your garden won't be a reality for some time. You may (like me) be turning to your favorite flower shop for budding branches and blossoming blooms. There are other options though of the paper kind that perhaps you've not given much consideration to. 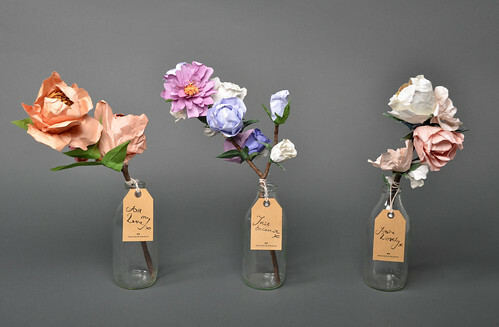 In fact, I encourage you to play with flowers that are fresh and those that are faux - even mix them in your vases, and see what you can come up with that is creative and as fresh as springtime. 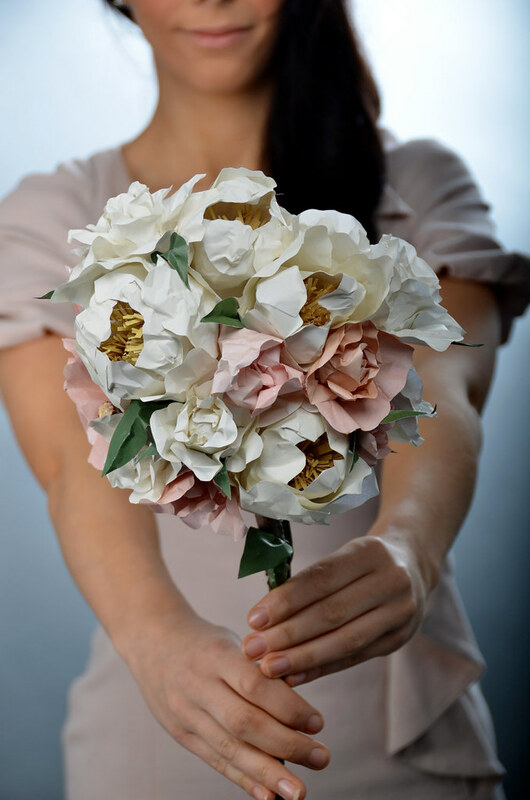 Granted, you may find the silk variety a bit 'grandma' but have you considered faux outside of silk, namely paper flowers? 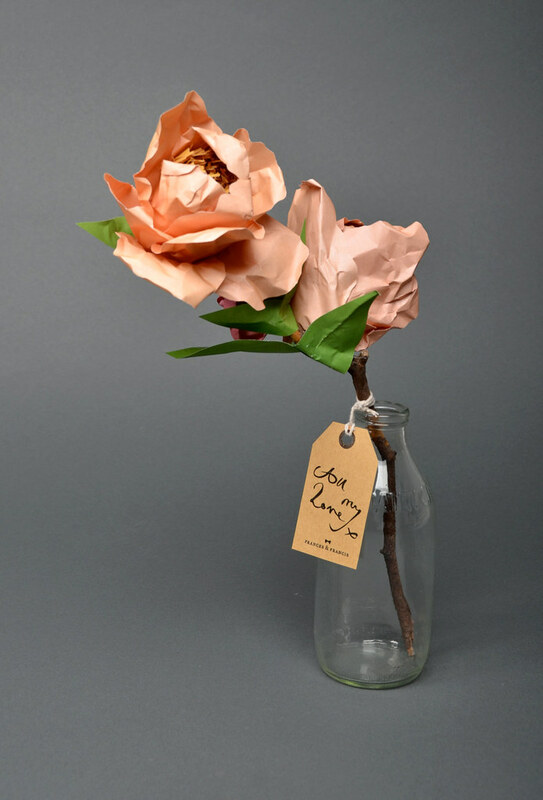 Whether they be crepe, tissue, scrap, wrapping, vintage or even wallpaper leftovers... you can make your own gorgeous flowers using paper quite easily. 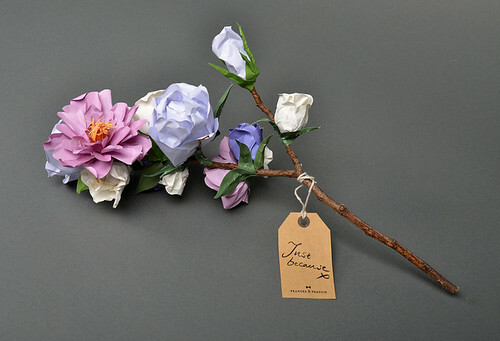 There are plenty of kits in craft stores for this with pre-cut blooms or you can try your hand at the myriads of tutorials on sites like Martha Stewart, for instance. 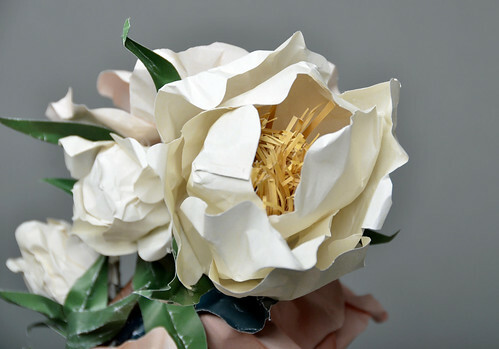 There's a great coffee filter flower how-to currently on their crafting blog that could easily be translated into some kind of fun tabletop arrangement if you'd like. Gorgeous and so inspiring, right! ?